← It’s Recruitment Day at Rave Reviews Book Club! Are you a member yet? 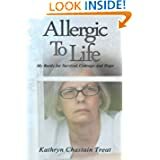 This entry was posted in Allergic to Life: My Battle for Survival and tagged Rave Awards, Rave Reviews Book Club, Video Trailers, Who's On The Shelf With Nonnie?. Bookmark the permalink. Congrats! I actually wrote to that site a bit ago about reviewing A Jane Austen Daydream. Thank you Scott. You should join us. It is a great club with over 500 members who read and review.